In 2014, the Board of Supervisors approved the Home Energy Renovation Opportunity (HERO) Program which offers Santa Cruz residents affordable energy efficient and water saving upgrades to their homes, with financing available through property tax bills. In Santa Cruz County, 111 applications have been submitted and, of those, 91 have been approved with $711,000 of projects funded under the program. 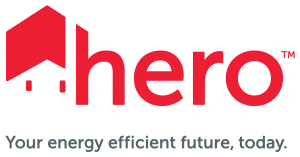 For more information, or to conduct an energy audit for your own home without obligation, visit www.heroprogram.com/ca/santacruzcounty.